Durga Puja or Sharadotsav is an annual Hindu festival in South Asia that celebrates worship of the Hindu goddess Durga. It refers to all the six days observed as Mahalaya, Shashthi, Maha Saptami, Maha Ashtami, Maha Nabami and Vijayadashami. Durga Puja festival marks the victory of Goddess Durga over the evil buffalo demon Mahishasura. Thus, Durga Puja festival epitomises the victory of Good over Evil. It is the biggest festival for all Bengali’s and the Bongs (short form of Bengali) look forward to this festival through out the year. I am no exception, even though I have been living away from Calcutta for over 9 years now, each year during this time my heart is in Calcutta, I want to hear the dhaki (Drummer) play the beats or enjoy the dancing, eating, drinking and all other festivities that goes on in the city. You have a few Durga Puja’s in London but they are all very traditional and back home that’s not how I or other youngsters celebrated it, we participated in the religious bits for probably an hour or so but the rest was always about adda session with friends. 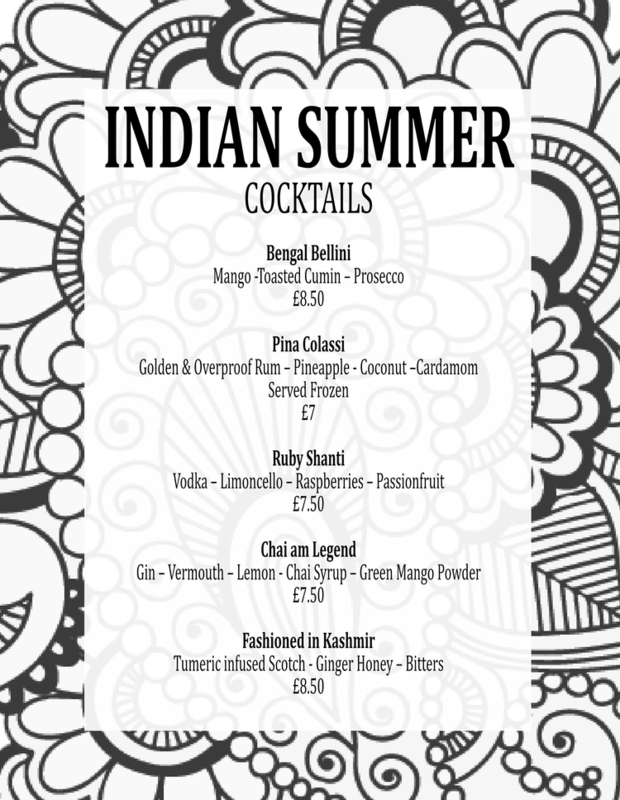 With this PopUp I aim to recreate the whole vibe of Pujo in Calcutta – Music, Alcohol, Food, Dressing up, Dhaki’s tal, Rabindrasangeet and a lot more. 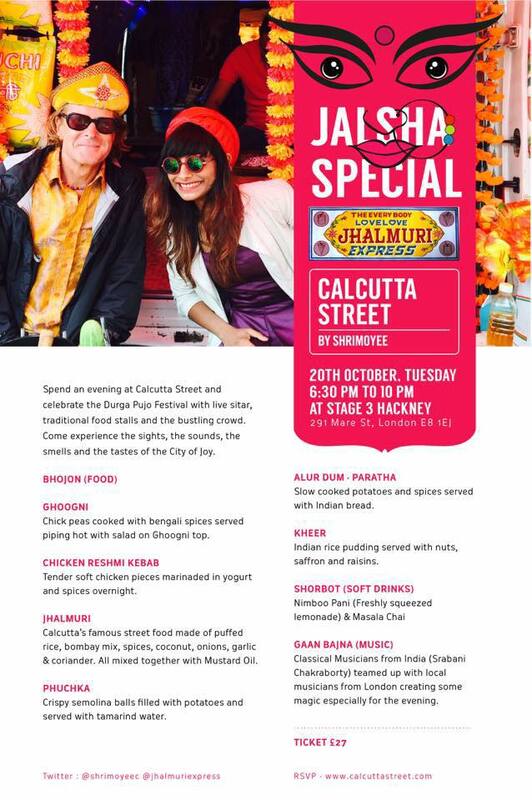 So if you want to experience this amazing carnival experience from Calcutta come along for the Calcutta Street X Jhalmuri Express Durga Pujo PopUp at Stage 3 Hackney on 20th October 2015 (Saptami). Angus Denoon from Jhalmuri Express and I got together during Notting Hill Carnival 2015 and we had a lot of fun so I am expecting just the same this time. Have a look at the photos. Calcutta Street and The everybody love love jhal muri express presents to you – An evening to celebrate the start of Durga puja with the sensory pleasures of music, food, drinks and each others company in true bengali style in a beautifully decorated space. Durga puja is kolkata’s greatest festival that salutes the victory of good over evil and the authentic and original street food stalls and live music will transport you to the mighty city for the night.